There will be few posts with images from this place. There will be because I'll be coming back there many more times. And I will do that because this place is amazing. Simply amazing. On so many levels (and I don't only mean in literal sense as there are all together 8 levels, 8 floors, including 3 below the street level - this place is massive!). It's amazing to me thanks to its brave and stark design which remarkably manages to combine one of a kind architectural structure (literately like nothing I've seen before) and local and historical context making this huge building somehow weirdly fit its surroundings like it was always there or it was always suppose to be there. 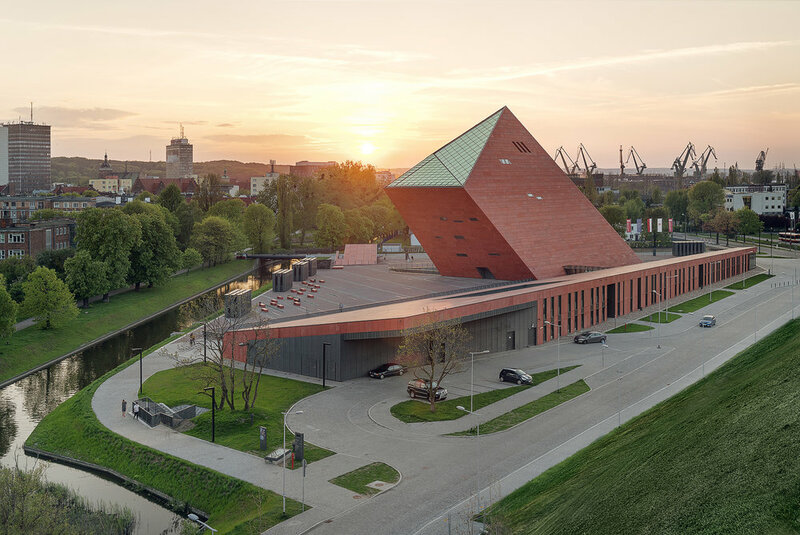 The Gdansk Second World War museum was designed by Studio Kwadrat in collaboration with interior design studio LOFT Magdalena Adamus. 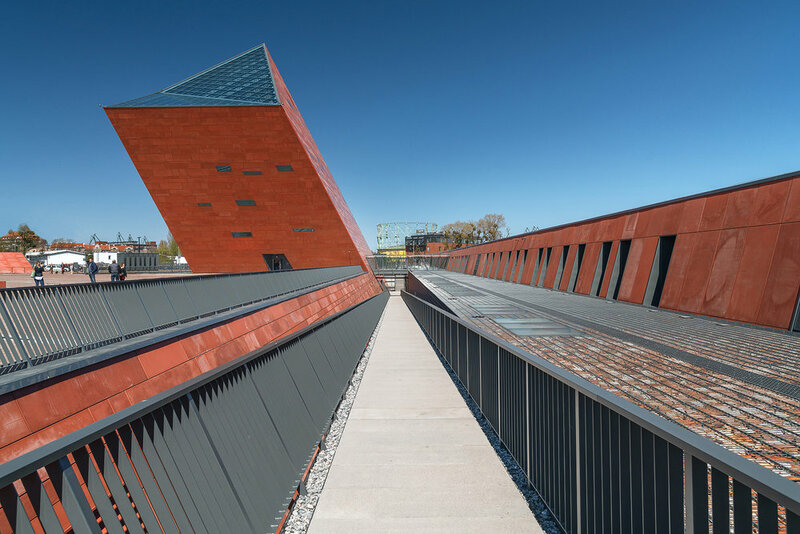 At the heart of the museum, Belgian Tempora studio, a specialist in the field of design, realisation, promotion and management of exhibitions, designed a permanent exhibition of 5000 sqm which makes it one of the largest historical museum exhibitions in the world! 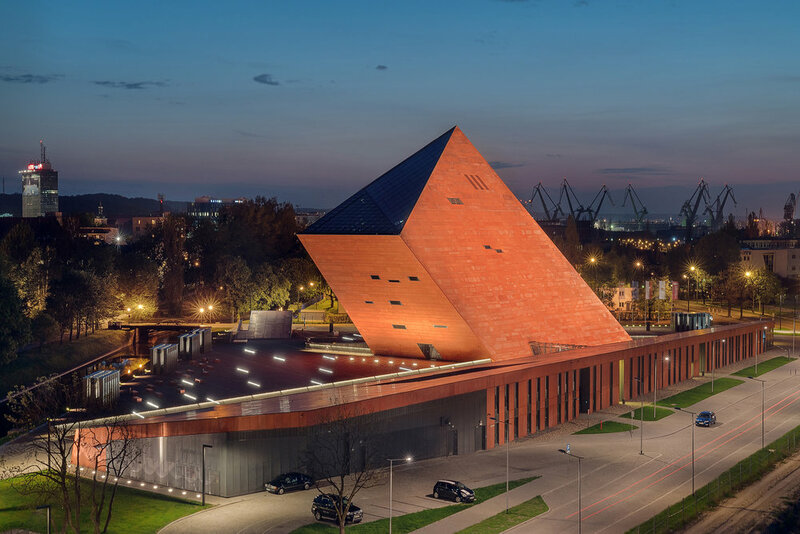 As I said, this is only the first post on my blog from the Second World War Museum in Gdansk, these are my first official pictures. There are so many more angles and so many more spaces I want to show you! For now enjoy my first pictures from the Second World War Museum and feel invited!